What a difference a year makes… at the BSC Expo in 2018 Sony were despondent as ARRI launched their 4K Alexa LF camera to counter the Sony VENICE. Along with 16 large-format Arri Signature Prime lenses it appeared to be the camera the industry was waiting for…or was it? This entry was posted in Firmware, News and tagged Sony VENICE v3.0 firmware update, VENICE, Sony VENICE 4.0 details, Sony VENICE 3.0, Sony on 12th February 2019 by Visuals. 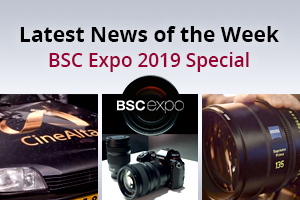 This week is our BSC Expo 2019 round-up featuring the Sony VENICE v3.0 and v4.0 firmware, the new Zeiss Supreme Prime 135mm Lens, Panasonic's latest firmware update 3.0 for the EVA1, the new Lumix S1 Full-Frame Mirrorless Camera and a couple of the new L-mount lenses. 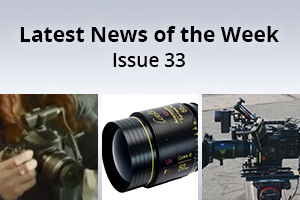 This entry was posted in News and tagged Zeiss Supreme 135mm, Panasonic Lumix S1, Panasonic EVA1 v3.0, ZEISS Supreme 65mm, BSC Expo 2019, Sony VENICE 4.0 details, Sony VENICE 3.0 on 11th February 2019 by Visuals. This week we are featuring the new XS Wireless Microphone System from Sennheiser, the latest Anamorphic i/Full Frame Plus Special Flare coated lens from Cooke Optics and the long awaited firmware V3.0 for the Sony VENICE along with some V4.0 highlights. 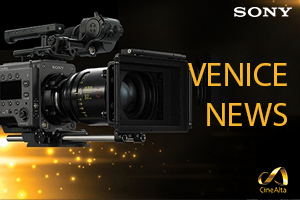 This entry was posted in News and tagged Sony VENICE 3.0, Cooke Anamorphic i/Full Frame Plus SF, Sennheiser XS Wireless Digital Microphone System, Sennheiser XS, Sony VENICE, Cooke Lenses, Cooke Optics, Sennheiser, Sony on 4th February 2019 by Visuals.